Having fact checked my latest Minisail I always called the “Meson”, the boat might turn out to be a fun hybrid. This boat doesn’t fit any discription. It’s hull is wooden and veed (read not flat but V-shaped) , has no handle built in at the bow, and it’s deck is “flat” with a drop keel. Terminology used in the guides is not helping but combining the lot makes me think a flat deck is the self draining type, say flush deck (check!?) 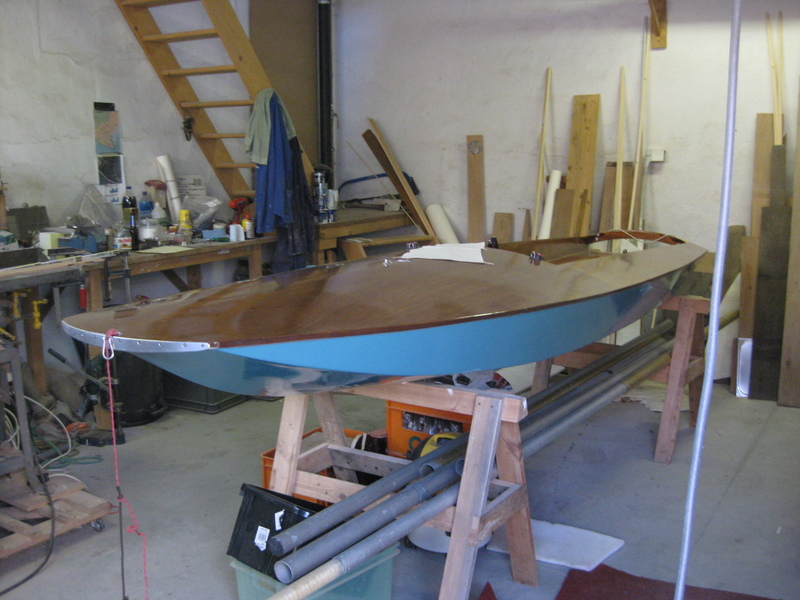 and the drop keel would be a centre board (check!). So I think this MiniSail hull started life as an early wooden flushed decked Monaco-One and was rebuilt in Meson style later on. What it makes a fun hybrid -assuming I have the historic background guessed right- is that it combines an actual first wooden hull from the late fifties/early sixties with the latest wooden superstructure inspired or derived from the Meson kit (a 1975 GRP Sprint II hull to be completed DIY with a self draining wooden top). 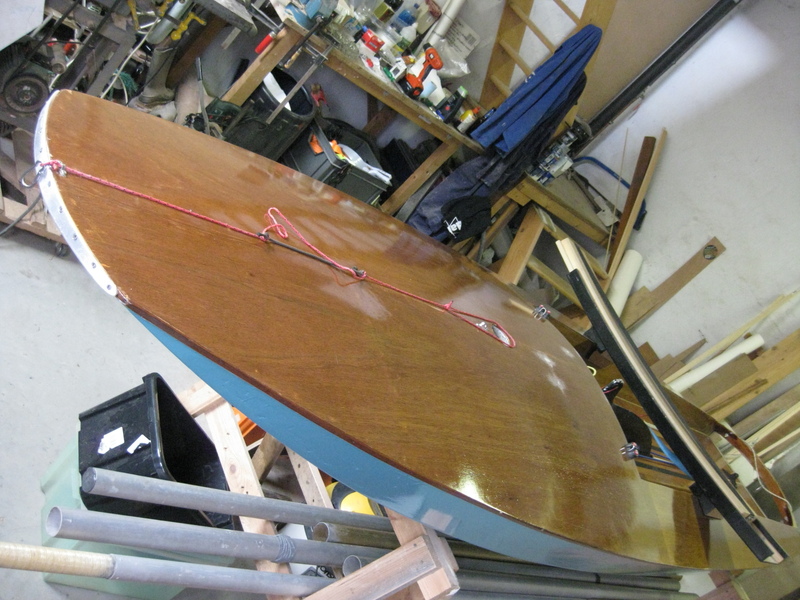 Mmm, a super MiniSail springs to mind: a light man-made fibre flat bottomed hull combined with a varnished wooden Meson-inspired superstructure… equipped with post-1960 rudder/centerboard/rig/rigging/sail and an optional seat. I would at least try one of these. 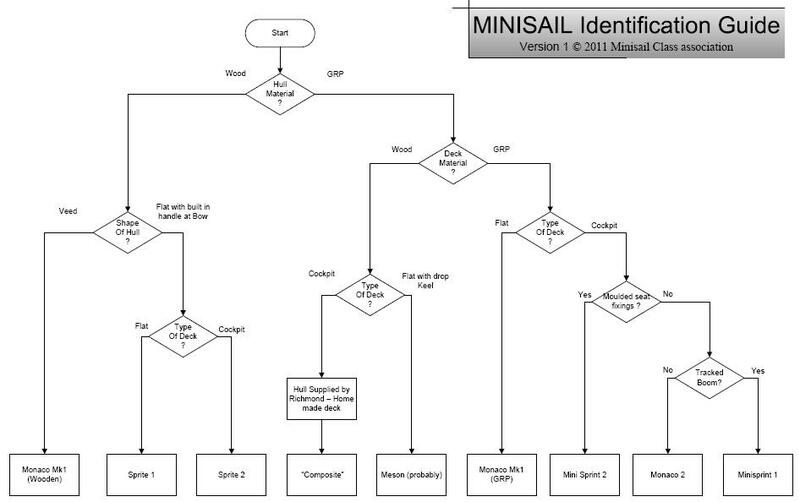 Things are moving in the Minisail scene.